Looking for an all-electric seven-seater MPV? Well, you’d better hope the Nissan e-NV200 is the car for you, because it’s the only one (short of very expensive Teslas) on the market. The Nissan e-NV200 has a unique appeal, being pretty much the only all-electric seven-seater MPV you can buy (that isn't Tesla money, that is). However, it’s neither the best electric car going, nor the best seven-seat MPV. If it’s not essential that you have that particular cocktail of abilities, other electric cars – or other MPVs, might well suit you better. 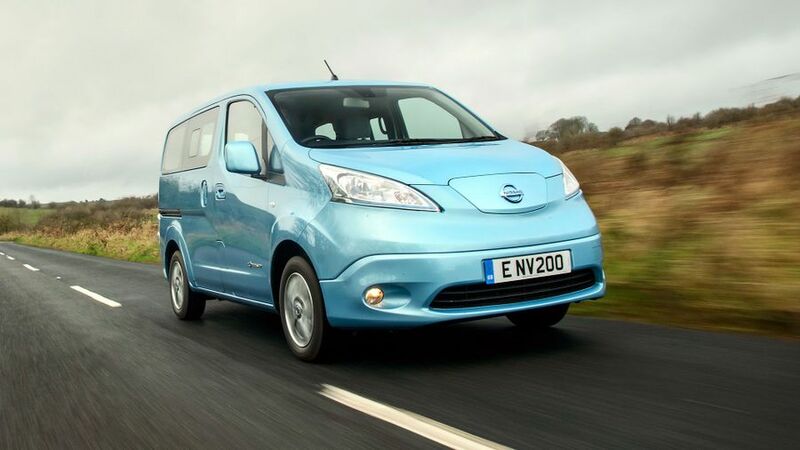 Interested in buying a Nissan e-NV200? 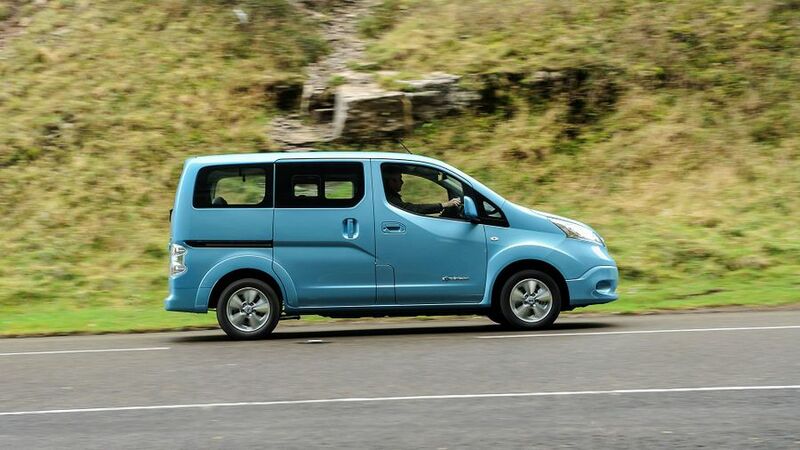 It’s never a huge surprise when a passenger car derived from a commercial van turns out to be something less than a looker, but even by those low standards, the NV200 is no oil painting. 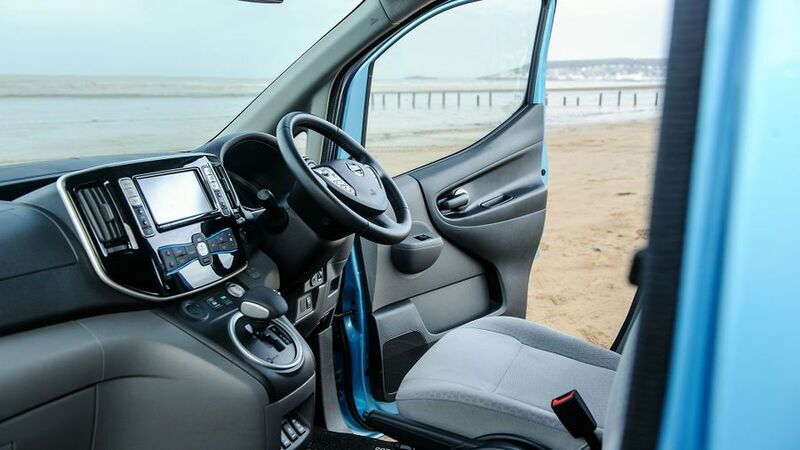 Again, few cars derived from vans are the last word in interior quality, and there’s no doubt the e-NV200’s cabin has many materials chosen for their durability rather than their tactility. Most of the plastics you see on the dashboard and doors have a hard and rather shiny finish, making the cabin feel a little bit cheap. The touchscreen infotainment system doesn't do much to inject a high-tech feel, either, because the graphics are dated and the system is a little bit clunky and unintuitive to use. The rest of the controls are fairly simple – even if a few of them are hidden away under the steering wheel, making them difficult to get at – but you might struggle to find a comfortable driving position. The steering only moves for rake and not reach, and there’s no height adjustment on the driver’s seat. And, for a car with such flat sides and big windows, your visibility is really limited. The bulky windscreen pillars mean your visibility could be clearer at the front corners of the car, while the sliding middle window and chunky rear pillars mean it's a similar story at the back. In this area, the e-NV200 is a very strange mix of huge positives and pretty catastrophic negatives. 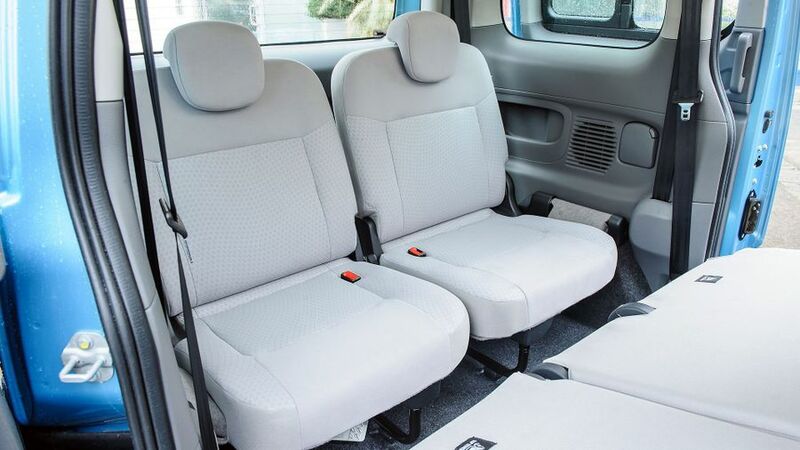 On the plus side, the car can be had with up to seven seats, and each one is surrounded by enough space for an adult; not something you can say about all seven-seat MPVs. Sliding rear doors also make getting in and out easier in tight parking spaces. However, while most rival MPVs have seats that fold flat into the floor to boost versatility, there’s nothing clever about the way the NV’s fold; in the middle row, the backrests simply flop down onto the bases, leaving a massive step in the load floor. You can remove them completely, but they’re extremely heavy to lift and you’ll need somewhere to store them. Specify the two rearmost seats, and they don’t fold down at all; they fold up instead. They’re attached by a hinge to the sides of the boot, and if you want them out of the way, you lift them up and secure them with a strap attached to the ceiling. As storage solutions go, it’s pretty low-fi. The boot is a half-decent size with seven seats in place, and massive in five-seat mode. However, you might struggle to open the boot in tight spaces, due to the length of the massive tailgate. Your rear seat passengers might not like the fact that the rear windows can’t be rolled down, either; there’s a small sliding panel opening instead. Because the e-NV’s origins are as a commercial vehicle, it doesn’t have the most sophisticated suspension you’ll ever encounter, and you can feel this in the ride comfort. Yes, it does manage to take the sting out of most sharper bumps, but it still feels like you’re aware of pretty much every imperfection in the road surface. The bigger problem, though, is the amount of vertical movement as you plot a course along any given stretch of road; the body of the car bobs up and down untidily, meaning you and your passengers do as well, so the car feels jumpy and unsettled at all times. Suffice to say, most other MPVs will give you a much more polished ride. The handling is every bit as roly-poly as you’d expect in a high-sided car like this, but that’s much less of an issue than the ride. And, although you do feel lots of body lean as you negotiate a bend, the car stays reasonably stable due to the heavy bits of electrical kit positioned low down in the vehicle. The steering is very slow, but a tight turning circle makes manoeuvres nice and easy. However, the e-NV isn’t as quiet as a lot of electric cars we’ve driven; there’s quite a loud whirr from the motor as you accelerate, there’s quite a bit of wind and road noise swirling around on the motorway, and bumps can cause the suspension to knock and the interior trim to squeak. Many electric cars – the Nissan Leaf included – have surprisingly strong performance thanks to the instantly available torque provided by an electric motor. 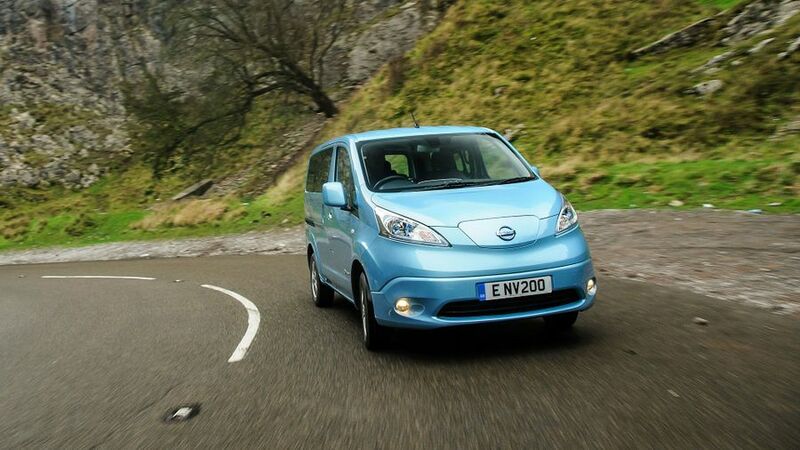 However, while the e-NV200 shares its propulsion system with the Leaf, it delivers its power in a rather different way. Even with what seems like plenty of pressure on the accelerator pedal, your take-off is gentle and you build speed in a gradual, rather leisurely way. However, you can tap into a stronger vein of acceleration by pushing the pedal past what feels like the end of its normal travel – it feels like you're pressing down on a button – whereupon you feel a more purposeful surge of pace. It still doesn’t feel as brisk as a Leaf, but the performance will be perky enough for anyone who’s likely to want an e-NV. Charging the battery fully takes more than 20 hours from a normal three-pin domestic socket, but a 7kW wallbox (which isn’t included in the cost) will top you up in less than eight, and a public fast-charger (if you can find one) can give you 80% charge in around 40 minutes. That gives you a theoretical range of around 120 miles, but bear in mind that theory doesn’t always mirror reality: low temperatures, congested driving conditions, excess speed, running lots of ancillary functions or having lots of passengers on board will eat into that significantly. In the real world, you'd probably want to bank on getting a maximum of around 90 or 100 miles in good conditions. 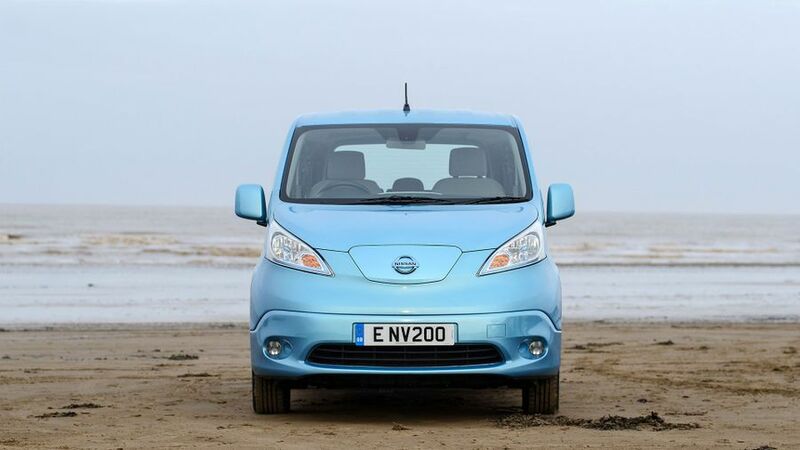 Electric cars are pricey to buy compared with fossil-fuelled alternatives, and the e-NV200 is no exception, but like with other electric cars, the government will give you a grant to help with the extra cost. And, unlike some electric cars, you can only buy the car outright; you can’t choose to lease the battery from the manufacturer, which reduces the purchase price and gives you more peace of mind over battery longevity. Once you’re past that initial hurdle of getting your hands on an e-NV, though, the running costs are minuscule. Reckon on spending about 2p per mile in electricity costs if you’re charging up on a cheaper night-time tariff (that’s far less than you’d spend on fossil fuel), while most of the various taxes that motorists face will either not apply to you, or will be charged at the very minimum rate. 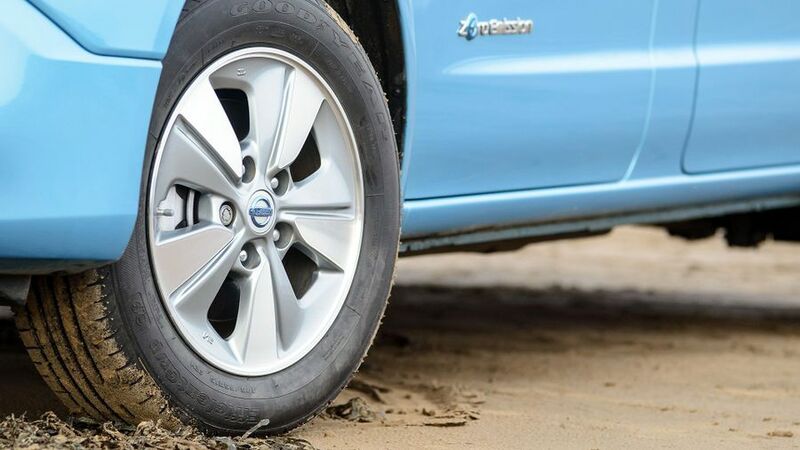 There’s very little reliability data available for the Nissan’s electric products specifically, but the firm’s vehicles usually perform well on mechanical dependability. With far fewer moving parts than a conventional combustion-engined car, there’s a lot less to go wrong on an electric car. This should, in theory at least, translate into strong reliability. It also means electric cars are, by and large, easier – and therefore cheaper – to maintain. 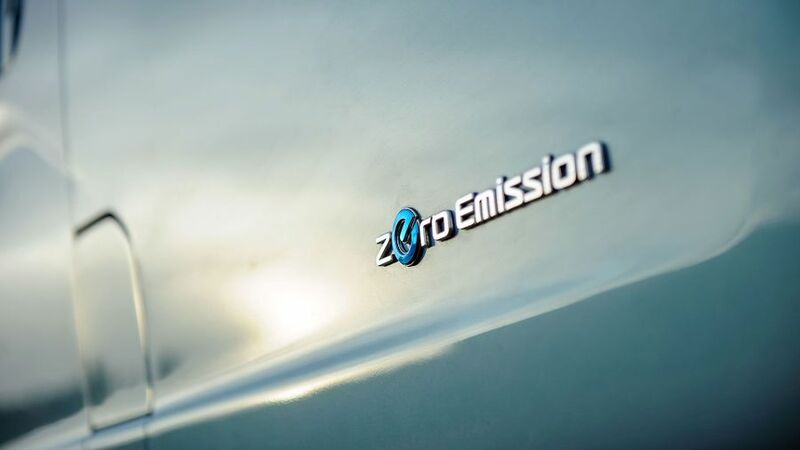 Most of the car is protected by a five-year/60,000-mile warranty, while the battery and EV-specific parts have eight-year/100,000-mile cover. Hopefully, that should go some way towards allaying any fears you may have about battery longevity. 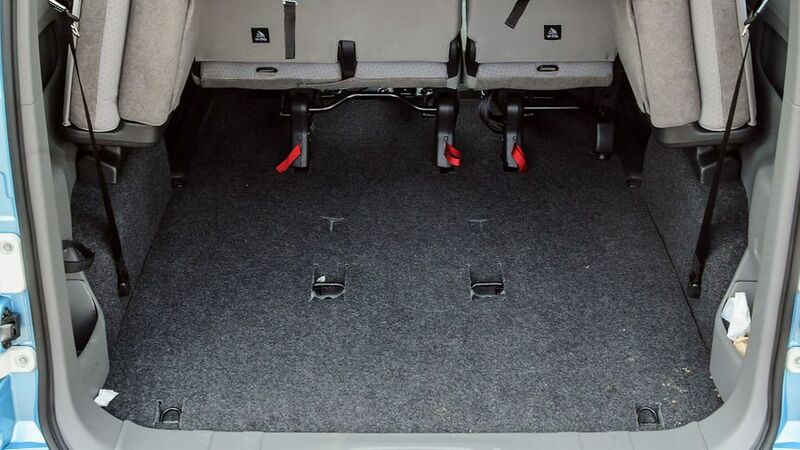 Many van-based MPVs are rather short on safety kit, which really isn’t ideal in cars designed to ferry families. Thankfully, the e-NV200 does better than most such vehicles, but it still lags behind many MPVs with more conventional origins. The best MPVs these days have sophisticated driver aids such as autonomous braking and lane departure warnings, but the e-NV has to make do with the bare minimum of tools required by law, things like traction and stability controls. At least you get front, side and curtain airbags provided as standard, which is a lot more than many van-derived people-movers give you. However, that still couldn’t prevent the car from scoring a rather disappointing three out of five stars in Euro NCAP crash tests. 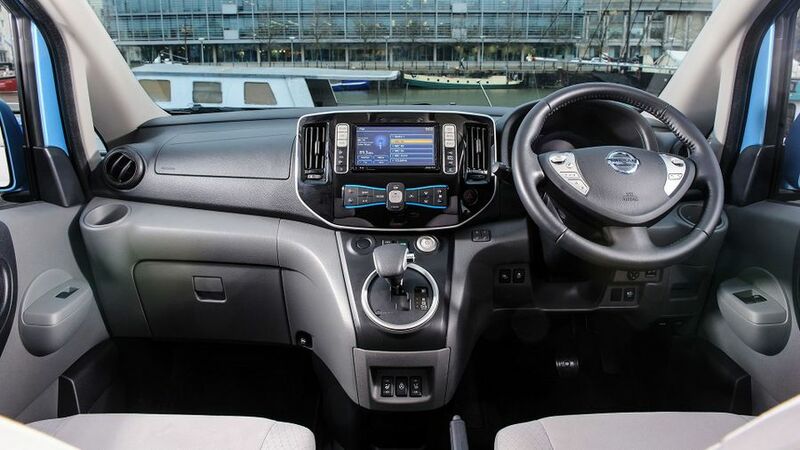 Entry-level Visia e-NV200s don’t come with a whole lot of kit as standard. You get electric front windows, a push-button starter and a stereo with a USB socket and a Bluetooth phone connection, but not a lot else. The second-rung Acenta model adds important bits like air-conditioning, cruise control and a rear-view camera, while the Evalia model gives you alloys, automatic lights and wipers, sat-nav and a digital radio. For that reason, it’s probably the Evalia you’ll be wanting, but you might well resent having to pay the extra it costs. Because you like the idea of emission-free electric motoring, but you still need space and seating for up to seven people and a Telsa is well out of your financial reach. 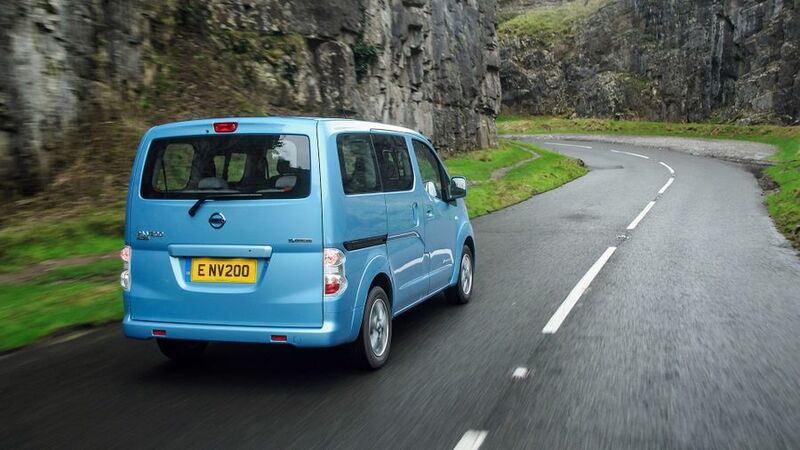 On that score, the e-NV200 is in a class of one, giving it a unique appeal. However, don’t go expecting it to be the cleverest or most versatile MPV going.